Abrasive Pads are ideal for use on ceramic and porcelain greenware but also work well with other materials such as wood etc. 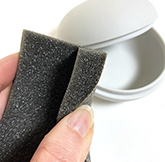 (Replaces RUBBER SCRUBBERS & Out-lasts sandpaper 5 to 1) 3" x 4" x 1/2" Thick. Flexible, Washable, Long-Lasting. Use wet or dry. Double-sided stiff pads. Use on ceramic or porcelain greenware, wood or other surfaces. Abrasives won�t flake off. Washable & durable. Outlasts sandpaper 10 to 1. 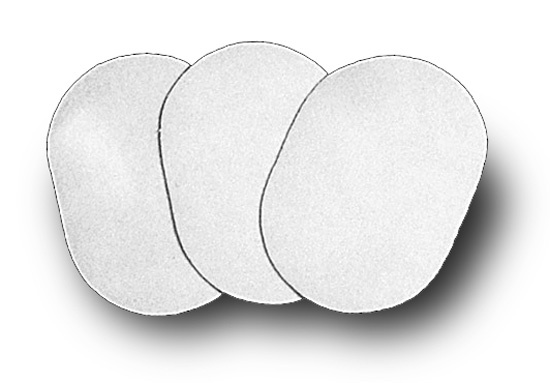 2" x 3" ovals. 1 6 9 12 27 Qty.